© Mike Blissett. All rights reserved. A pack of wolves killed an elk early one March morning, and having had their fill were howling in the hills behind me. 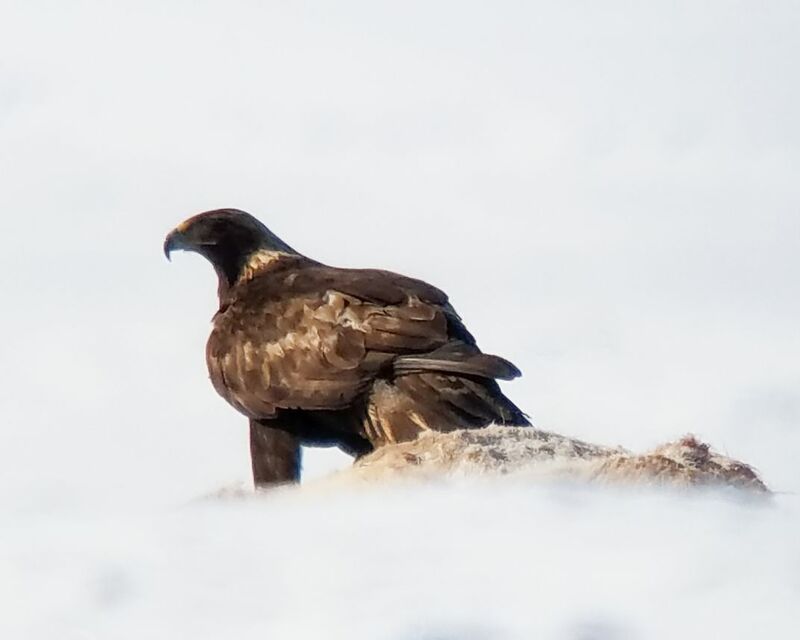 This golden eagle took advantage of the opportunity, asserted its dominance over the other scavengers on the carcass, and gorged before something bigger came along. Date Uploaded: Nov. 29, 2018, 11:54 p.m.